Do you own a MicroPro 8000 and want to try a MicroStar 2000? 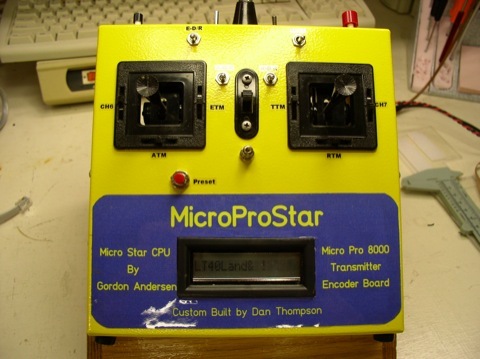 Would you like a MicroStar 2000 but don't have the talent or the desire to build one? Well, your desires have been answered. 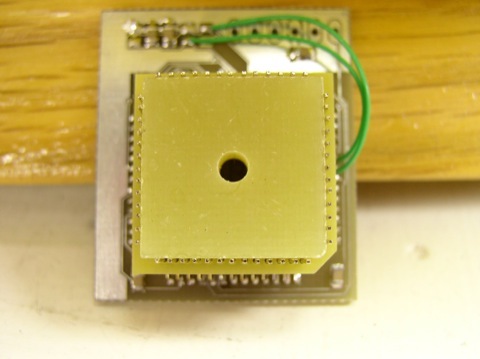 Through collaboration between Gordon Anderson and Dan Thompson a special adapter has been developed that is inserted in to the MicroPro and replaces the Motorola processor of the MicroPro encoder. Gordon has modified the MicroStar firmware to use the MicroPro one line display and most all of the existing hardware of the MicroPro encoder. Using this development you get over 10 bit resolution. All of the existing sliders and switches are used and no hardware modifications are necessary. The adapter will fit either the dual stick or single stick MicroPro. Due to space limitations, the battery pack in the dual stick must be physically reconfigured. Upgrades to the firmware are done from the PC just like any MicroStar. The conversion is very simple. Remove the old Motorola chip and plug this one in and it is converted. The biggest hurtle will be removing the old chip. ACE used two different sockets and one allows a chip extractor to be used which makes removal easy. The other one takes a little finesse to get it out. You can convert back to the orginal MicroPro by removing the adapter and reinstalling the Motorola processor. 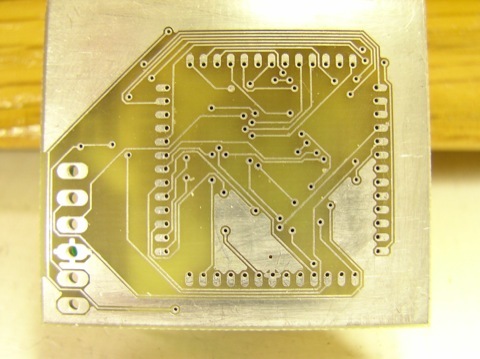 The only tools required are a chip extractor for the Motorola processor. 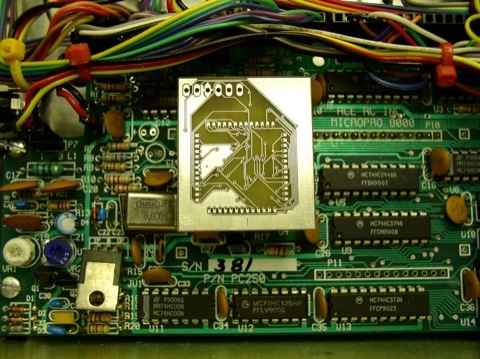 The MicroProStar (MPS) and future support will be available in the summer of 2010 from Dan Thompson. Price to be determined.